"Why, shore, Ah kin roll a quirley and plug some no-good rannie at the same time. Cain't ever'body?" 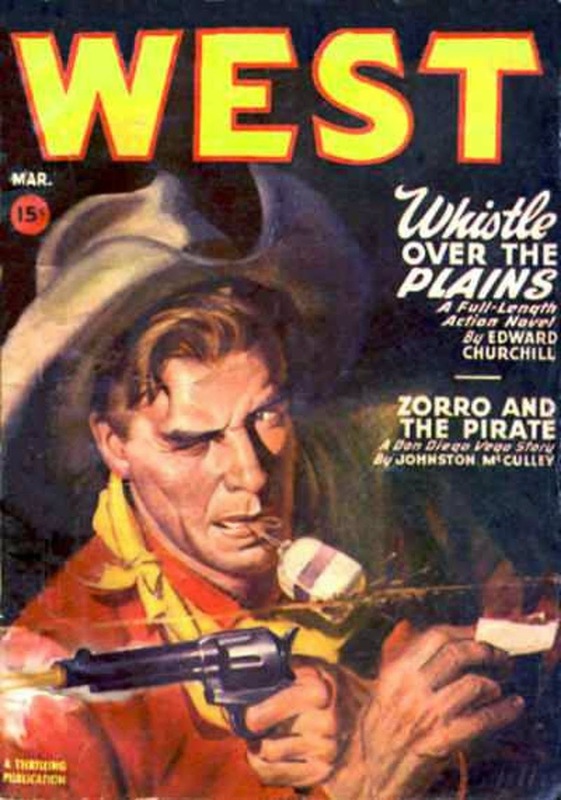 Meanwhile, inside this issue of WEST are stories by Edward Churchill (I've read some of his G-Men yarns that were pretty good, but no Westerns that I recall), Gunnison Steele, and Johnston McCulley. Fine reading, I'm sure.